WIT Agent Nancy Fowler is currently escorting a group of 70+ passengers on a Viking River Cruise through Russia! From August 24 to Sept 5, Viking’s ship Helgi sails from Moscow to St. Petersburg on the Volga-Baltic Waterway. This is a special partial charter that Willamette Intl Travel has organized with the Portland-based foundation, the Royal Rosarians. 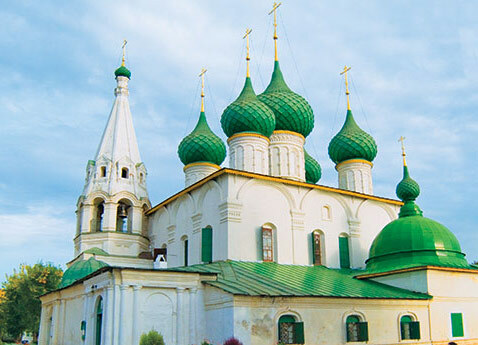 Viking’s Russia itinerary includes ample time in both the capital of Moscow and the gleaming jewel of St. Petersburg. Passengers will discover luxurious palaces, medieval monasteries and beautiful cathedrals. Includes: 13-day cruise with river-view stateroom, 11 guided tours with audio headset, all meals (12 breakfasts, 11 lunches, 12 dinners), Welcome Cocktail Reception & Dinner, Captain’s Farewell Dinner, 4 UNESCO Heritage Sites, and a Culture Curriculum that includes music, dance, lectures and workshops. The Viking Helgi was recently refurbished in 2013. It offers two 400-square-foot suites and 104 spacious staterooms, accommodating up to 210 guests. All upper and middle deck staterooms have private verandas, and all main deck staterooms have picture windows. The Viking fleet is world-renowned for its European high standards of comfort and elegance, complete with hotel-style beds and amenities like 26-inch flat-panel TVs and in-rooms refrigerators. Willamette Intl Travel has years of expertise with river cruises in Europe and Asia. Our agents are well versed with Viking and many other cruise lines. Please call us for more information. Filed under Cruises, Europe, Russia, Travel by Ship, Viking Cruises, Where in the World is the WIT Agent?